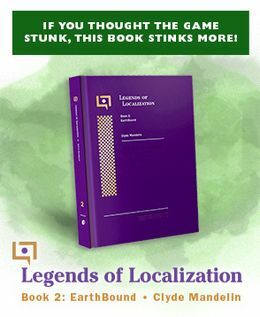 Good ol’ Marcus Lindblom is still up to his gaming antics – it’s been like almost 20 years since he worked on EarthBound’s localization but he’s still in the industry! 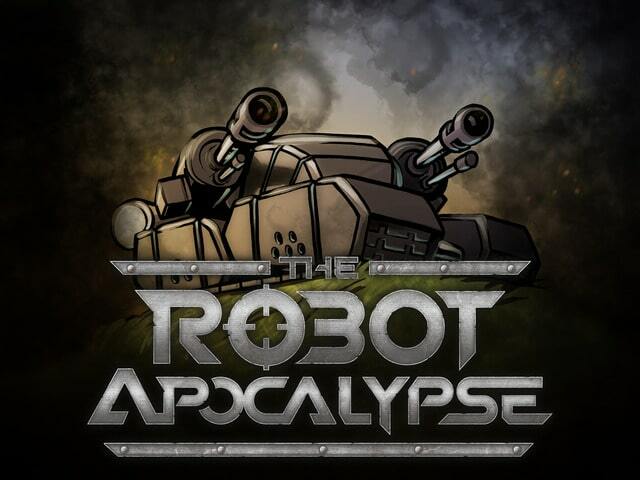 He has his own game company now, Carried Away Games, and he’s just put up a Kickstarter for his latest creation, The Robot Apocalypse! Marcus has been such an awesome, gracious guy over the years, interacting with EarthBound fans and sharing memories of the project and such that I really want to see his latest endeavour succeed, even though it itself isn’t EarthBound-related. If you’ll recall, a few months back Marcus was planning to do a book about his experience working on EarthBound, but Nintendo shot the idea down. So, since that’s a no-go, he’s decided to share that wealth of information over the next few days and weeks online, sort of as a side-project that will run parallel to his game’s Kickstarter. The info will be free for all to see, and I think he plans to start in a few days. I’m not exactly sure where he’s going to post them, so keep an eye on his Kickstarter updates here, and while you’re there, consider backing his game 😛 It sounds like his first EarthBound update might be about his run-ins with the real-life Japanese cult that inspired the Happy Happyists in EarthBound! The thing is, she’s never played the game herself before… until now! It sounds like Nico is going to play the game now and give her own thoughts about the game too, which sounds pretty cool: a girl who appears in EarthBound, born during EarthBound’s localization, is finally playing the game she appears in! Marcus will be updating with Nico’s thoughts and impressions, which should be really neat. Anyway, he hasn’t gotten very far into it yet, but he’s planning to play through MOTHER 3 now and share his thoughts on parts of it! That’s like, the craziest, most awesome honor I could ever ask for 😯 So I really look forward to seeing how he might react to certain things, or possibly hearing about how he thinks some content might’ve been changed back in the old days. Again, I’m not 100% sure where he’s going to post this, so just keep an eye on his game’s Kickstarter here over the next few days/weeks, since it sounds like he’ll post the info and/or links somewhere there. 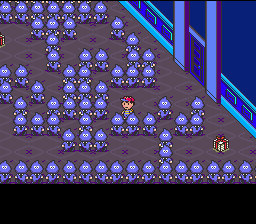 17 Comments to The Latest Game from EarthBound’s Localizer! I’m excited to see this. He had a lot of interesting things to say about working on the game at the Bash, so hearing more would be pretty cool. If it comes to wii u/3ds eshop, I’ll buy it, but I don’t use steam, so if that’s a case, he won’t be getting a sale from me. …Or, we could wait for Mato to post about it! Haha. I would probably back the game, but I’m a broke college student right now! 🙁 I’ll take a look at it, though. Thanks for all the kind words. Believe me, I understand about being a broke student, so no worries. I’m going to post some (hopefully) interesting or mildly amusing stuff from the EB localization. Many, many thanks to Mato for letting the community know about this. EarthBound fans are truly the best fans. It’s great to hear that you’re playing through the fan-translation of Mother 3! Can’t wait to hear what you think, just don’t pick on ‘Mato’s work too much now alright? On that note, will you be looking at the original Japanese version at all? 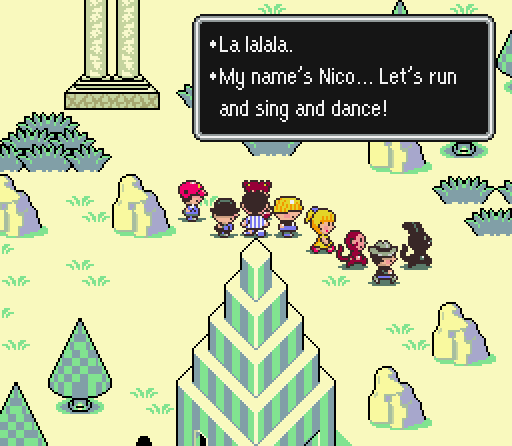 I’m also looking forward to seeing how Nico reacts to EarthBound since you put a lot of your own taste and humor into it. So the updates where I will be posting about EB, etc., will actually be the Kickstarter page, so hopefully some fans will decide to support that effort as well. Thank you for all the kind comments, Vanasto. I hope you find the EB info interesting. Looks fun, Even if it isn’t my type of game, i’d like to give it a go… Too bad I’m broken as well. 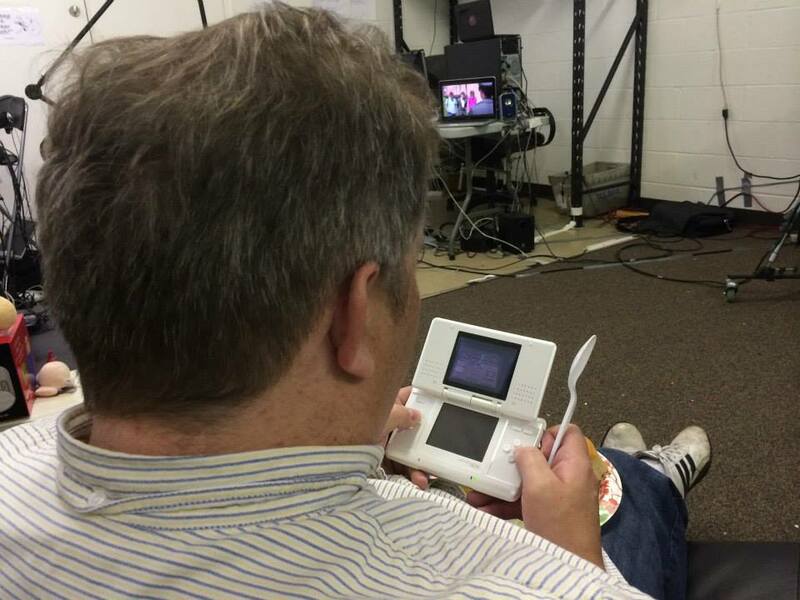 Hope he gets far on Mother 3 as well! Epic. Have a great 4th of July, dude. Just have a greatastic fantabulous excelnice holiday. Super psyched to see what Mr. Lindblom will post! I think I’ll have a look over on the Kickstarter page now! PS: Hi FMC, I miss you, man! Kinda sorta looks like a game called Project Zomboid set in the future with a bit of FTL thrown in. I can’t donate to it since there is no mention of Linux on it and if it is a PC game it has to run on Linux since that is what I use. If it was coming out on consoles I might consider it but I don’t use Windows so this is a no-go for me. Thank you for the warm wishes, FlyingManCourage! EBMarcus, I would like to personally thank you for everything you have done for us fans! It is an honor to have someone like you active in our community. Words cannot describe how thankful we are! The sarin gas story was crazy. I would have freaked out as soon as I found out. I look forward to hearing more stories and backing/playing your new game. Marcus has another update about the graphical changes made to EB. It’s nothing new, but it’s nice to have all of the info in one place. It makes me sad that marcus wont be able to make his game.. but it just doesnt look like a game people need right now.